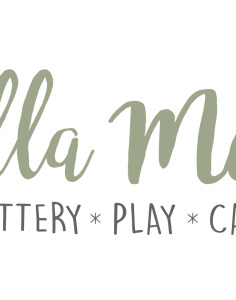 Mel, or Mella as she is known (a nickname bestowed by her baby nephew), is the driving force behind Mella Mella’s pottery, play and café. The studio has become a real community focal point; as well as exciting ceramic painting and pottery classes for children and adults – for novices and the more expert – there’s a café serving delicious coffee and freshly baked treats, a Kids Corner play zone, a garden and a private party area. Mella graduated in Art and Design and worked in education for over 10 years. After settling in Chiswick, she was seeking a new direction and a ceramic café seemed the ideal fit for her background and skills. 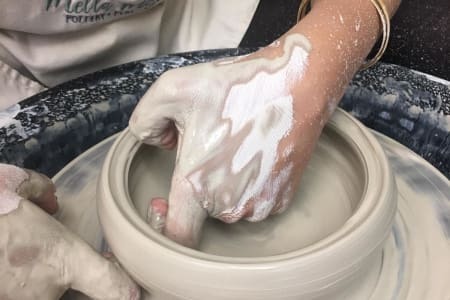 Mella Mella’s offers adult and children beginners and intermediate pottery courses throughout the year, regular Craft Afternoons and Open Studio days for people with pottery wheel experience. And, of course, everyone is welcome to drop into the café to meet friends while the children play in the Kids Corner and garden.